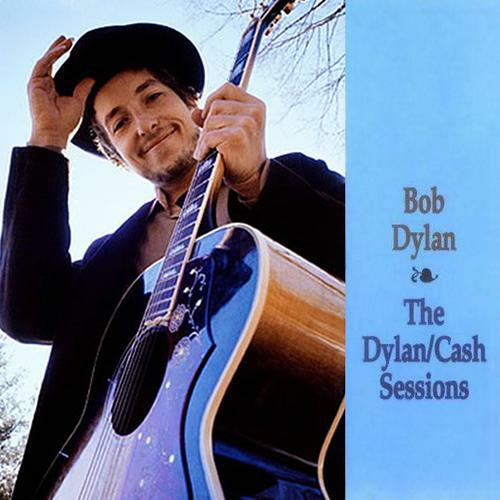 They recorded together at the CBS studios, Nashville, TN February 17-18, 1969, and it resulted in my favourite Bob Dylan (and Johnny Cash bootleg from 1969), The Dylan / Cash Sessions. It was released in 1994 and re-released in 2004. Johnny Cash wrote the young Bob Dylan a letter, and they began writing back and forth. They met at the 1964 Newport Folk Festival and Cash gave Bob Dylan his guitar (This is a Country Music Tradition and is seen as a gesture of great respect and admiration). When Bob Dylan was in Nashville recording his ninth studio album, Nashville Skyline, Johnny Cash was recording in the next door studio. 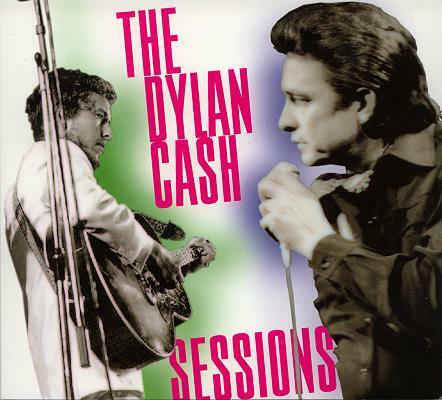 Cash joined Dylan at the end of the sessions. On February 17 and 18, 1969, Johnny Cash and Bob Dylan laid down 15 tracks (that we know of). Only one, Girl From the North Country, was included on Nashville Skyline. This is a bootleg of historic significance and a great recording. It is a document of two giants recording together, and even if it’s a bit loose and “hit and miss”, it is a joy to listen to. It’s a must have.